Is 2020 the Year That IoT and Blockchain Merge to Usher us into the AI Age? Will blockchain finally set the Internet of Things (IoT) free with fully machine-to-machine, device-to-device communications that will deliver autonomous supply chains, sensor controlled smart cities and realize the dream of having your fridge manage your milk supply? The IoT is considered as the next major technological shift and will become part of our lives much like electricity, internet, and smartphones. We will wonder what we did before the IoT. IoT has been talked about for almost as long as blockchains have been around, about a decade. Current IoT systems are clunky and with reliance on centralized cloud technology for devices to speak to one another, even if they are just inches apart. The existing IoT set up is slow, fragmented and cumbersome. Security is a huge issue – especially as self-driving cars and intelligent medical devices make hacking a life and death situation. 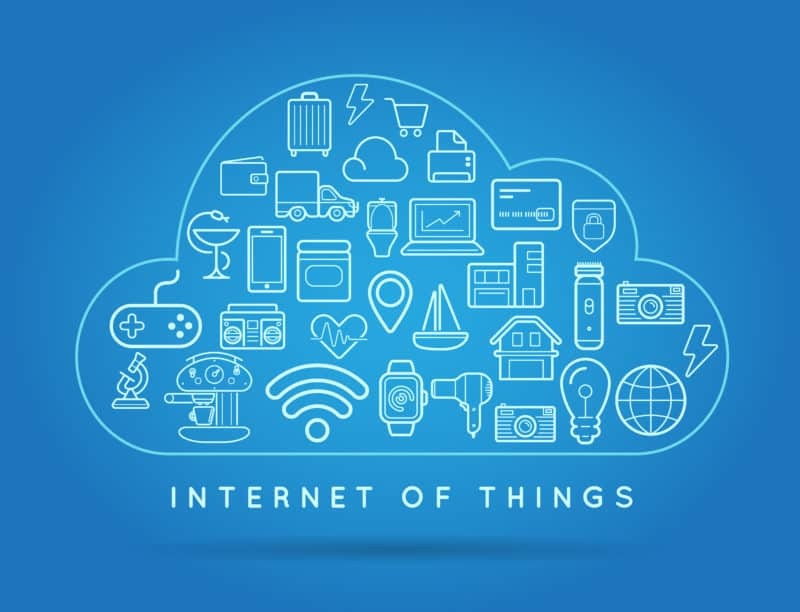 Existing IoT solutions are expensive because of the high infrastructure and maintenance cost associated with centralized clouds, server farms and networking equipment. The mind-boggling amount of communications that will have to be managed when IoT devices expand to the tens of billions will increase those costs substantially. Enabling IoT devices to self-manage by sharing information securely and permanently from RFID sensors, barcode scans and device-reported data from multiple parties offers endless useful applications. The main problems though with using blockchain for device-to-device communications is firstly the small computing power within the devices. In a sizeable self-driving car this isn’t a problem, but when the car is talking to multiple tiny in-road sensors and for the information needs to be encrypted it becomes an issue. Secondly, the limited storage capacity of small devices inhibits the proof of work consensus that blockchain relies on for authenticity and avoiding doubling up on transactions. Thirdly, devices have limited storage capacity. The blockchain is designed so that every node has a copy of every transaction. If a device becomes a node, it must maintain a copy of all the transactions right from the first block. Lastly, the power consumption required to transact, store and transmit information on the blockchain in real time is beyond the capacity of small wireless devices with limited battery power. Some solutions to these challenges include incorporating social media networks into a synchronous distribution ledger mesh such as Twitter, which can handle part of the authentication, encryption and storage functions. Another idea is more of a hub and spoke approach to the management of devices. Multiple daughter devices are connected to a mother device that handles the processing and storage power that the blockchain requires. An intriguing solution is the direct acyclic graph (DAG) which seeks to rebuild the blockchain from the bottom to ‘correct’ inherent flaws in how blockchain was developed. In the concept floated by influential start-up SPECTRE, blocks are created at the rate of about 10 per second which is twice as fast as Ethereum. The blocks are referenced in a DAG, and many, entwined threads of blocks are created. Then, the most valid transaction history is selected by miners choosing the most inter-referential block graph, ensuring a higher quality of transactions. Intriguingly, the transaction history won’t be permanently stored. Transactions will only be stored for a limited amount of time, and once it has been validated, will be removed. SPECTRE says it is validating and testing its ‘Blockchain 2.0’ concept for release in late 2018. Although SPECTRE is motivated to develop the DAG for new cryptocurrencies, IoT researchers are watching closely as it may just solve most if not all the challenges blockchain currently poses to the deployment of billions of devices that will revolutionize all our lives. Expect some chaos in the IoT and blockchain space over the next two years as new players and technology emerge and consortia form to decide upon common standards and protocols, and then watch the accelerated rollout of true IoT devices for industry and consumer devices from 2020.